As the season is coming to an end and the last episodes are on the horizon, it’s time to start winding down Rebecca’s storylines. 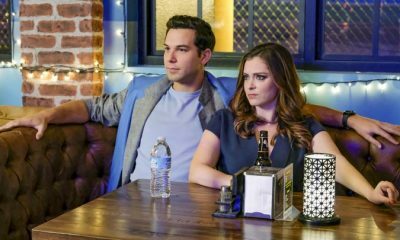 This season has been less romance heavy, and more focused on Rebecca mending her past mistakes and focusing on becoming her true self beyond her disorder. The last relationship she has to mend is her oldest and honestly, the one that I think that has had the most impact on her life and possibly instigated her mental illness. Naomi Bunch is a strong woman who is not easily crossed, and in this episode, you really gain a sense of their relationship. Naomi is so focused on how everyone perceives her and her daughter that it has transcended into a toxic relationship and environment for Rebecca. I’m glad they were able to have a moment of true understanding, and that Naomi was able to see Rebecca beyond her being just a child or a token of pride at an award ceremony. I appreciate, however, how relatable the writers created this relationship. Although it may be extreme, it’s still something that I believe many people can relate to– the fear of disappointing your parents along with them seeing you as a child no matter how old you may be. The development of characters this season has been something I enjoyed very much. I am so proud of Josh for finally moving out of Hector’s mom’s house, or should I say room! Honestly, I found that tidbit too hilarious. Watching Josh grow up and figure out life beyond his boyish charm and mindset was amazing. 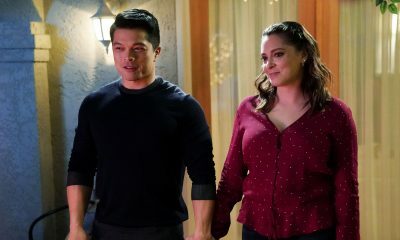 Originally, I was not a huge fan of Rebecca and Josh, but seeing them both grow into mature humans has definitely made me do a 180 and I ship them so hard. Nathaniel isn’t going down without a fight as he’s made clear in previous episodes, so this episode also provided a glimpse of the ways in which he is maturing. I don’t know how I feel about his reasons behind the good deeds he’s accomplishing, because we all know he’s trying to be a better person just for Rebecca. I hope he soon realizes that he wants to do the good deeds because he knows the positive impact they have, while also making him feel good. Not just in hopes of winning Rebecca back. I feel like Rebecca will end up with Nathaniel in the end, it just makes the most sense. I hope they reveal it soon and give the happy couple more than just the final episode. Are you team Josh or team Nathaniel? Who do you think she’ll end up with in the end? Damn! Rebecca looks GOOD in Valencia’s black dress. Naomi Bunch has got some serious guns! Workout regimen please? Valencia pays 8 grand a month for that shoebox?! In all honesty, it’s supposed to be an exaggeration, but I feel like it’s too realistic for New York! I guess I should be happy Rebecca fell in love, and most importantly with herself, but it doesn’t stop me from being completely heartbroken that the series has come to an end. What are we to do with our Friday nights? Just as I expected, Rebecca finally concluded that she had lost herself in the entire love triangle, and ended up putting the focus back on herself. Well, she realized she had lost herself long ago when she had made the decision to move out to West Covina to chase Josh Chan. 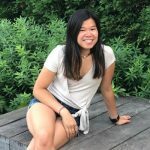 While there, she hadn’t focused on her true joys and had since been struggling with finding her true passions: law, pretzels, musical theater, and finally writing. The whole time Rebecca thought she was confined to the three same men in her life, but later she realized once she figured out her true passions she might further evolve and will eventually find the person she’s meant to be with. Which could well be someone in that room! During her snooze on the toilet, she visited each possible future with each of the guys and saw a look of unhappiness on future Rebecca’s face each time they left the room. Her future-self finally revealed that her true identity was pushed aside by her relationships. Rebecca conferred with Paula just like the good ole days and tried to decipher the meaning of a simple message. Paula showed her that her dream self was actually her own subconscious telling her exactly what she needed to know. Told in short snippets of the past on stage in an open mic night setting she revealed the previous Valentine’s trail of broken hearts. Of course, she had to tease and make us originally believe Josh was the one. Or perhaps I’m too naive and had my own hopes riding on that one. No way would they make it that easy for us. Josh’s look when she broke his heart was so disheartening. Although their love story seemed a bit star-crossed. He was Rebecca’s first true love and through the hardships of their relationship, they both grew for the better. Along with Rebecca, he had the strongest character development. All the men in her life grew for the better because of her. I love anything cyclical and this was all too cyclical. The old outfits she wore throughout the seasons during her identity crisis were so fun to see again. We got to reminisce through the seasons along with her. 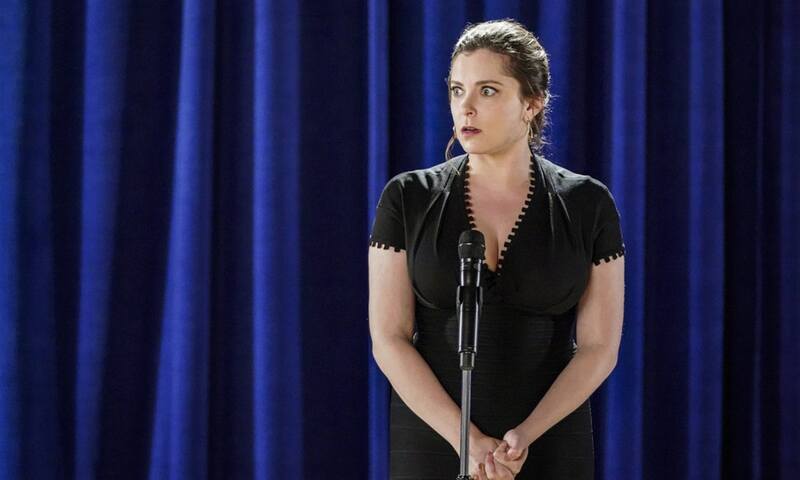 It’s amazing how much of Rachel Bloom is portrayed through Rebecca. Or so it seems. 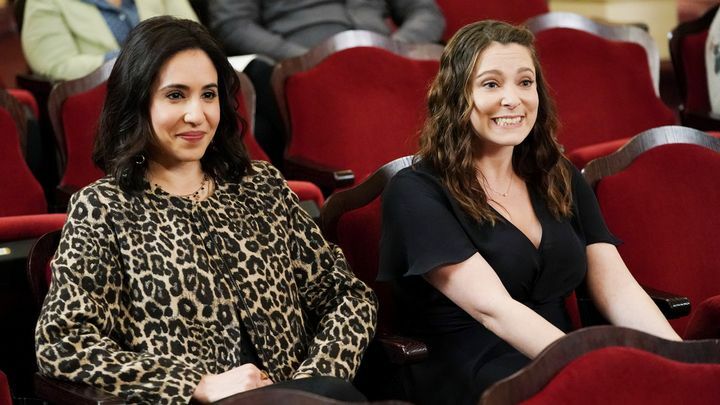 When she takes Paula into her musical side numbers and Paula sees Rebecca’s embarrassment as a true gift and her future career path, it alludes to the start of Crazy Ex-Girlfriend in a sort of meta way. I’ve only seen a few TV shows through and through in my life, so this felt like a true journey. I wasn’t completely satisfied with the ending. Was the song that she was about to perform before being so rudely interrupted by the end credits her first Crazy Ex-Girlfriend theme song? This show held so many important messages that are important to anyone. I appreciated that Rebecca was on the older side and showed that at any stage of life you’re still finding yourself. There’s no timeline to figuring out your life and who you are. And of course the mental illness aspect of the show that made it so unique and brought many other social issues into the conversation in a satirical way. So many unanswered questions! But what a great show and the cast will certainly be missed. Were you satisfied with the ending? Congrats to all the happy couples: Darryl and April, Heather and Hector, Valencia and Beth, Josh and his new girlfriend. The storylines were wrapped up so beautifully and I’m glad they all received nice endings. I only question Greg’s ending, because it wasn’t really specified what he did beyond Rebecca. Was it already known that Nathaniel spoke Spanish? Because I am impressed! Paula’s a badass! Standing up for what she truly believed in. Although her slow walk out of the office was classic. She knew her boss was going to call her name. Less boy drama and more theater drama in this week’s episode. Rebecca’s finally hyper-focused on finding her own bliss beyond love interests, but that doesn’t stop the men in her life from hyper-focusing on her. Dare I say role reversal? Just as Rebecca’s rose colored lenses used to fog her vision when it came to all her romantic love interests, she realizes unfortunately the same has happened for her love for musical theater. While Rebecca’s chasing her dreams Paula is finally living hers. She’s finally realized her worth as she’s receiving an abundance of offers from various law firms, and Darryl has to learn to fight hard. 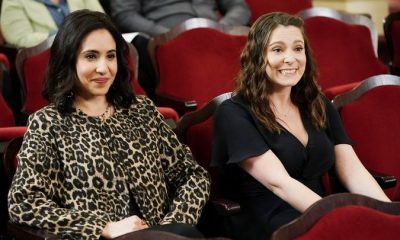 Darryl and Paula’s friendship is emotionally sweet and Darryl realizes that Paula’s decision to advance in her career beyond his firm does not mean they can’t be friends. In fact, it might strengthen their friendship beyond the workplace. Rebecca struggles with the internal debate musical theater is bringing her, and she quickly learns that sometimes you can’t place an emphasis on the thing itself, but instead you need to change your attitude about it to make it worthwhile. Otherwise it’s much easier to be let down. After being fired and her dreams stomped on, she hears from Greg that he will be staying in West Covina to finish his thesis and continue his restaurant, specifically for her! Once again, her rollercoaster of men seems to be coming full throttle. Is Nathaniel taking the lead once again? I guess his character development has been truly impressive, so I wouldn’t be as upset with him prevailing. I’m impressed by his decision to go forth with singing Rebecca’s rewritten song without any motivation other than his true care and love for her. Same with Josh, he put so much thought behind purchasing an original program from their musical theater summer camp and having Rebecca sign it. The boys are having some sweet one-on-one moments with Rebecca and we finally receive a cheesy picture of them at their core. What’s Rebecca’s next dream? Do you think she’ll continue with her dream of musical theater? 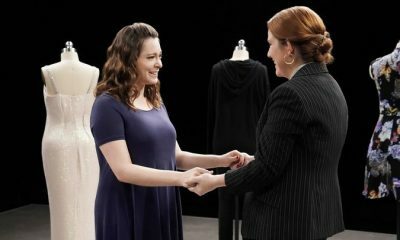 Who will be the man of her dreams, since at this rate it doesn’t seem like they’re going to leave Rebecca alone without a man by the end of the season finale. It would probably leave too many fans upset. My biggest question is why didn’t Valencia propose? She basically popped the question when she was asking Beth why she didn’t pop the question. “Stuff, crap, things, junk. That’s exactly how they teach you to do it in business school.” Classic. Is there something I’m missing about Nathaniel? He’s an above average looking human for sure, but not a 9.4? Maybe I’m being too harsh. I used to be a huge Glee fan, but when did Michelle Obama perform on Glee? 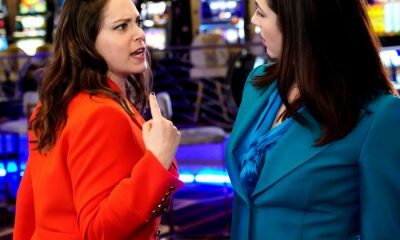 Rachel Bloom’s southern accent is too cute. Valencia’s song is so cringey and problematic, but Beth’s little fist bump at the end of her performance is adorable. Anyone else agree that Honeycrisp apples are #1? I always forget Greg and Heather dated. Just as Rebecca was tired the entire episode as a side effect of her new antidepressants, this episode also felt a little lackadaisical. 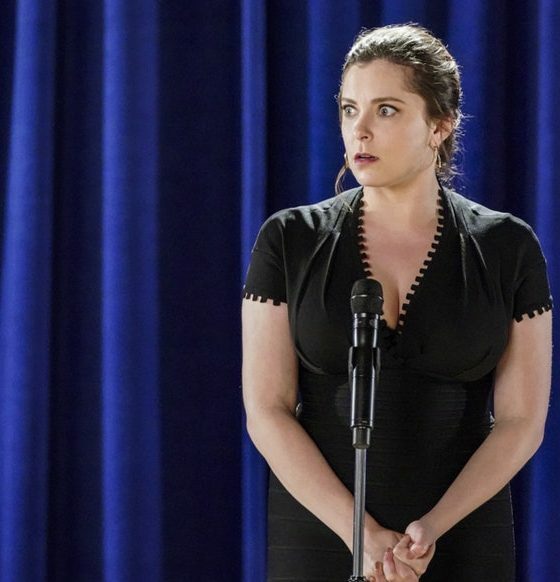 This week’s Crazy Ex-Girlfriend paled a bit in comparison to last week’s episode, but I guess that is to be expected after a strong and emotional episode. 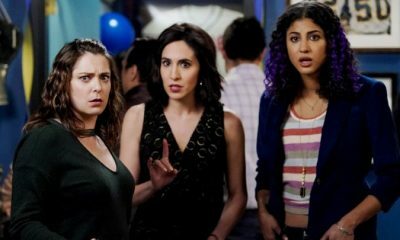 All I can say is that Rachel Bloom must’ve seen my prior request of bringing back the girl gang because the girl gang is back!! Unfortunately, they are not a large part of the overall arc, but hey they’re still back to support Paula and that’s all I can ask for. Paula’s recovery from her heart attack has her at 150% and ready to crush the bar exam. I wish I could be prepared even half as much for anything in life as Paula was for her exam. Fingers crossed for her success, although there’s no way she isn’t passing it with flying colors! Rebecca realizes that Rebetzels is not her dream, merely a midway point between her career’s past and career’s future, and watching Paula chase after her own dream so intently seems to provide inspiration for Rebecca to pursue nothing other than, musical theater. What a surpriseee! Following the incredible La La Land themed musical number there’s no other option for Rebecca than musical theater. I mean c’mon, those moves during the tap dancing scene! Who knew Rachel Bloom had the rhythm in her feet! The most important part for Rebecca is to find happiness within herself and her own life, rather than letting a love interest define it for her. The antidepressants seem to be working, and by the end we can see much improvement. Coming to the conclusion that her and Greg should stay friends at the moment is a huge step for her, certainly one in the right direction. I must admit it is a bit tiring how many times Rebecca realizes she loves one of them and wants to pursue them, and then decides against it, while they also take turns doing the same thing. It’s all a bit much, and at this point I’m hoping either a new and final love interest comes into the picture to swoop her off her feet, or that Josh prevails. Darryl’s subplot was cute, although a bit of a time waster. It developed his character’s search for love, but other than that gave no greater enhancement to the episode’s advancement. His daughter’s rivalry with April’s daughter was a bit fleeting, and it didn’t show how they came to the agreement of getting their parents back together. Overall, I wish there had been more commitment to making this an important plotline for Darryl. 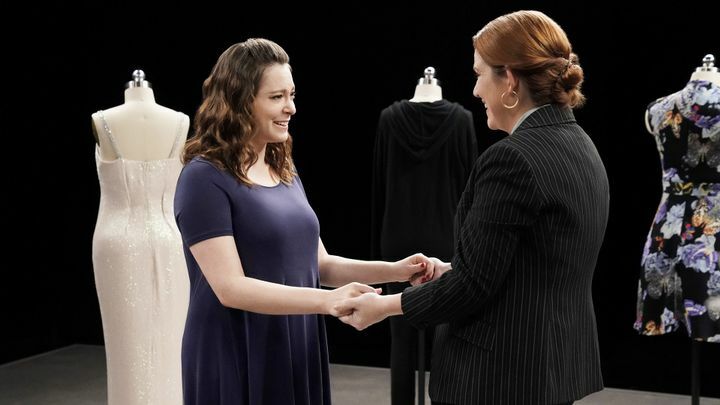 There are so many new and exciting things for Rebecca to figure out and with only a few episodes left in the season, I can’t imagine how things are going to turn out. What are your thoughts on Josh and Nathaniel’s new pursuit of Rebecca’s singledom? Who, if anyone, do you think will come out on top? Will April and Darryl get together? How do you think Paula’s exam outcome will be?